Natures Walk Studio: What's in my Studio... Houses! 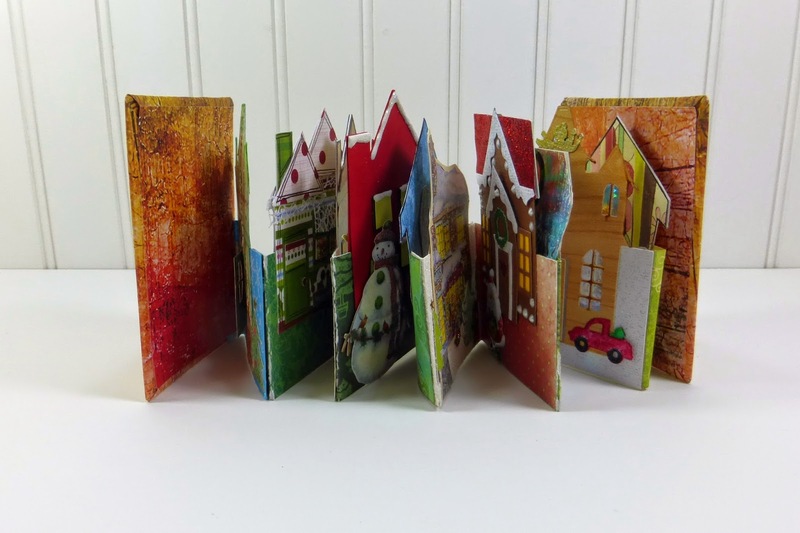 I thought I'd share some photos of a House Accordion Book project done with the local Artist Trading Card folks. We traded them this past weekend, and constructed our books while we were together. I still need to decorate the covers of my book, and am debating whether I want to attach a ribbon... we'll see. This was based on a project created by radiantcrust, suggested by my friend Nancy, an ATC enthusiast who is in three area ATC groups, if I recall correctly. There were 11 of us who participated, from our ATC group here in Bellingham, and from the two groups in Vancouver, BC. Most folks did Christmasy houses, however I decided bird houses would be perfect. I created my own template and traced then cut out enough for 12 houses. The front and back pieces are glued together on either side of the base. All in all, the project was fun, even during my busiest part of the year. 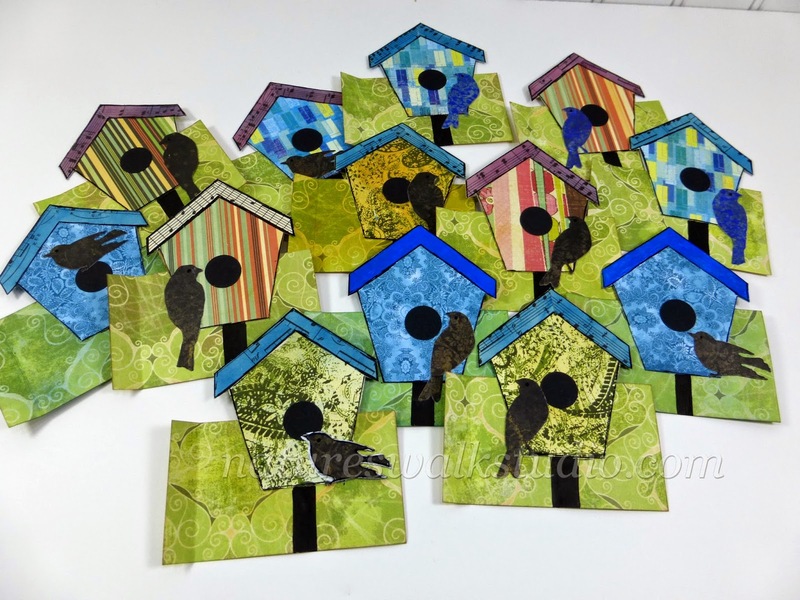 I love houses, adorable project, thanks for sharing! 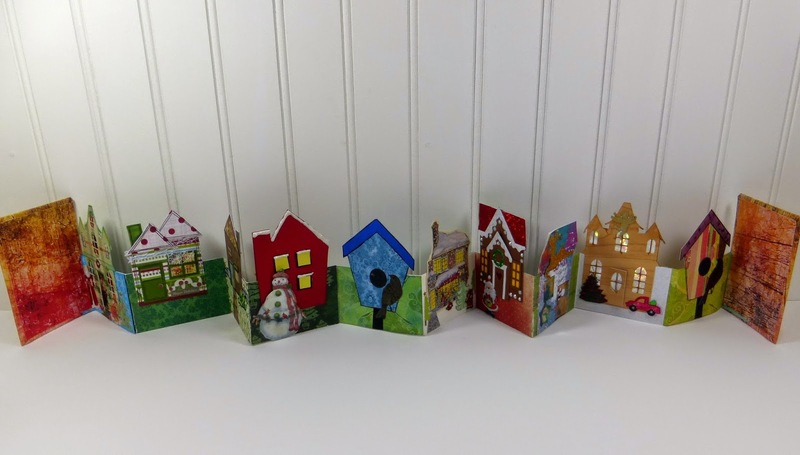 Your houses are awesome! Thanks for sharing, very inspiring! Love the book! Oh my! How clever. And your birdhouses are so cool! Happy New Year! What a great idea! I love it! You could do this with trees too. Nobody creates the same tree you know. There was a period in my life when I asked everyone I came across to draw a tree in my little bloc note and sign it. They were not allowed to look at the others until they'd done their own tree. Family, friends, colleagues, people I met on my travels... Every tree was totally different. I still have them in my drawer. Fascinating. Happy New Year Helen. 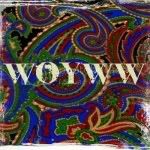 Thank you for visiting my blog yesterday. I LOVE your house book what a fantastic idea - something else to put on my to do list. Are you coming to Artzona in February? It would be lovely to see you again.